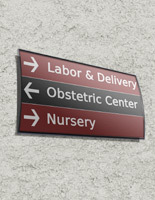 This Wall Sign Looks Great When Used with Many Interior Signs! This Signage Presentation for Posters Functions Like Wall Plaques to Demarcate Different Areas! This Wall Sign Is Economical! 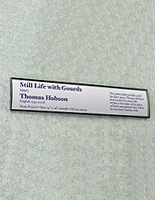 Media Size: 5.5" x 15"
2.5" x 8.5" 3" x 4" 3" x 5" 3" x 8" 3" x 11.5" 3" x 15" 4" x 5.5" 4.5" x 24" 5.5" x 6" 5.5" x 9"
6" x 7.5" 6" x 8.5" 7.5" x 10" 7.5" x 11.75" 8.5" x 11" 8.5" x 16.5" 11.5" x 17"
Black finish aluminum anodized extrusion is durable and built to last. Two-sided VHB (extremely high bond) tape made of foam is included to mount to lots of flat surfaces. No-glare lens is included for protection against sun rays and multidirectional views. This wall sign includes the non-glare lens, which prevents the reflection of light from preventing audiences from clearly seeing the contents. The non-glare overlay will also protect the image from being destroyed. 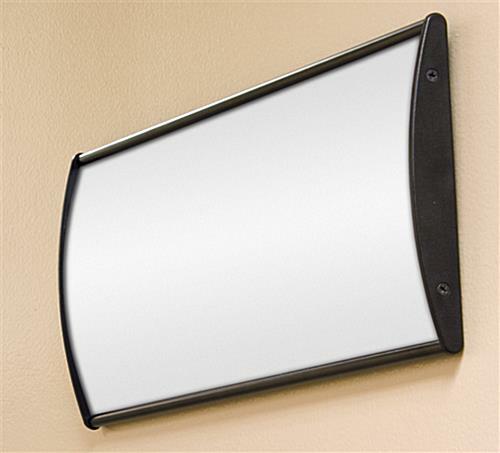 This wall sign, commonly referred to as an office poster holder, can garner interest from customers within the establishment. The printed images and messages may be changed in a matter of moments seconds with the wayfinding tool. 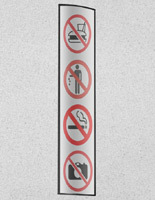 This wall sign only requires that users remove the non-glare lens from the front with the accompanying suction cup and position the posters beneath the overlay. The name plated does not include a graphic. 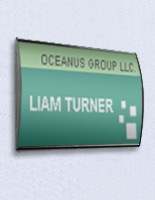 This wall sign allows users to design and print out their own custom signage using a standard printer. The door frame may be implemented to fulfill all sorts of needs. 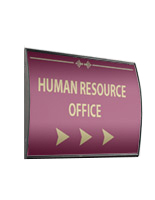 This wall sign can show where departments are located, room numbers or even the name of employees. The door frame is sold at economic prices to fit the budget! This wall sign, similar to the interior name display, is an easy way to improve décor while informing guests. 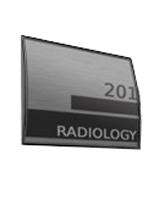 The name plate features a very rugged design thanks to the anodized aluminum and plastic end cap construction. This wall sign, similar to name plaques, is a wonderful option for users working indoors at an office, educational facility, government building or museum. The graphic holder is a great aid to visitors of these establishments when it comes to guiding them to the correct destination. This wall sign comes with double-sided, VHB (very high bond) foam tape on the posterior side to make mounting to display surfaces simple. 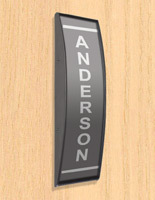 The door signage holder may be attached to a variety of surfaces. 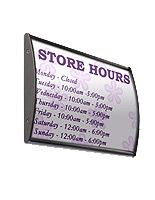 This wall sign can be affixed in either landscape or portrait set-up. The name plaque is perfect for implementation alone, but users are also able to purchase many to create an entire signage network. 32.0" x 16.8" x 0.875"